Berg was the first to demonstrate the possibility of making recombinant DNA and helped pioneer guidelines to limit the potential harm posed by genetic engineering. Berg is the son of Russian Jewish immigrants who migrated to the United States from a small village near Minsk. Neither of his parents, Harry Berg and Sarah (nee Brodsky), had any formal schooling. His father was a clothing manufacturer. The eldest of three boys, Berg grew up in Sea Gate, a private gated community based on the far west end of Coney Island at the southwestern most tip of Brooklyn, New York. Sea Gate provided an ideal setting for growing up and Berg remembers the great freedom he and his friends had to explore. Berg was active in the local football club, and it was through this that he made many close friends. Early on in his childhood Berg developed a strong interest in science. This was in part awakened by his readings of the lives of medical scientists recounted in 'Arrowsmith' by Sinclair Lewis and 'Microbe Hunters' by Paul DeKruif. His interest in the area was reinforced by Sophie Wolfe, the person who supervised his school's science supply room and ran the after-school science club to encourage students to conduct their own experiments. In 1947 Berg married Mildred Levy whom he had met through a summer job during high school. A year later their son, John Alexander, was born. Berg skipped a grade in elementary school and from the age of 14 to 17 he attended Abraham Lincoln High School, a public high school in Brooklyn. Following this, in 1943, he enrolled to study chemical engineering at New York City College, but decided not take up the place so that could instead join in the war effort. To this end he enlisted as a flyer for the navy. Too young to immediately join the navy, Berg then applied to do biochemistry at Penn State University which he started at the same time as doing some preliminary flight training for the navy. His studies were interrupted after a year when he was called up. This saw him initially serving on a submarine chaser that escorted shipping convoys in the Atlantic Ocean and the Caribbean Sea and then, following the Japanese surrender, helping to return naval ships in the Pacific to the United States. Berg returned to Penn State University in 1946 and completed his undergraduate degree within two years. In 1948 Berg went to Western Reserve University where he completed a doctorate under the supervision of Harland Wood in the department of biochemistry in 1952. During his doctoral research he was able to demonstrate how vitamin B-12 and folic acid enables animals to synthesise the amino acid methionine (previously assumed to be available only through diet). In 1952 Berg took up a postdoctoral position with Hermann Kalckar at the Institute of Cytophysiology in Copenhagen, Denmark. During this time he and Wolfgang Joklik, another postdoctoral fellow, discovered a new enzyme that created nucleoside triphospates for nucleic acid assembly. The following year started work as a post-doctoral researcher in the laboratory of Arthur Kornberg at Washington University, St Louis, Missouri, where he remained for 6 years. It was here that he discovered another unknown class of biological compounds - acyl adenylates. 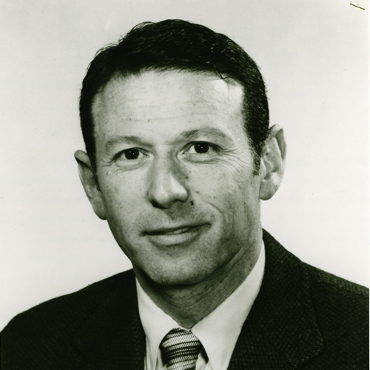 In 1959 Berg moved with Kornberg to help set up a new department in biochemistry at Stanford University's Medical Center. This was to be the setting where he began to shift his focus away from classical biochemistry towards molecular biology and towards experimenting with mammalian cells. His particular interest was learning how genes act and proteins are made. In 1967 Berg took a sabbatical year in the laboratory of Renato Dulbecco experimenting with Polyoma, a murine virus, and SV40, a monkey virus, in mammalian cell culture. On his return to Stanford, Berg set about seeing whether mammalian viruses could pick up genes and transfer them to new cells in the same way that bacterial cells could. This he did with the help of David Jackson and Robert Symons. The original plan was to use the SV40 virus to transfer new genes into mammalian cells, but this proved impractical because it could only transport a limited amount of DNA and often altered the DNA it carried. Based on this Berg and his team set about genetically engineering a virus instead by splicing two DNA molecules, one from a tumour virus and one from a plasmid carrying genes from Escherichia coli bacteria. Within a short time they had achieved their goal, producing the first recombined DNA molecule. In addition to his laboratory work, Berg helped set up, with Arthur Kornberg, of DYAX, a biotechnology research institute, in 1980 and the Beckman Center for Molecular and Genetic Medicine at Stanford in 1985. The aim of the Beckman Center was to encourage multidisciplinary work and connect molecular biology researchers more closely with clinical researchers. Berg was its first director, serving from 1985 to 2000. Berg is best known his development of techniques to splice and join DNA molecules which laid the foundation for the emergence of recombinant DNA technology which paved the way to the rise of the modern biotechnology industry. Berg is also held up as a role model for questioning the ethical implications of genetic engineering. He was pivotal to the organisation of the Asilomar Conference on Recombinant DNA in 1975, which gathered together a group of about 140 professionals to debate the potential hazards of the technology and draw up guidelines to regulate its use. Berg was awarded, along with Walter Gilbert and Fred Sanger, the Nobel Prize in Chemistry in 1980. This was given in recognition for his 'fundamental studies of the biochemistry of nucleic acids, with particular reference to recombinant DNA.' The same year he was also awarded the Albert Lasker Award for Basic Medical research. In addition he received awards from amongst others the American Chemical Society's Eli Lilly Prize in biochemistry (1959); the V. D. Mattia Award of the Roche Institute of Molecular Biology (1972); and the National Medal of Science (1983). Gene targeting technique shown to be efficient in modifying DNA in mammalian cells which can be adapted for other systems. This is the first time genome modification appears possible.